It’s that time again – training time!  Wexler Packaging Products, Inc. is proud to announce that the company will be hosting its 7th annual Service Training, which will be held May 5–7, 2015 at our Hatfield, Pennsylvania facility. In order to provide our customers with top-of-the-line equipment training and education, Wexler’s dedicated team of experts have developed an interactive program designed to “raise the bar” by teaching our customers how to understand their machine beyond basic operations. Each day, one of Wexler’s four lines of equipment will be featured in a training program covering everything from beginning to end. During the sessions, attendees will be provided with hands-on training and curriculum customized for the equipment line, covering basics such as machine setup and maintenance to troubleshooting and typical fault-finding. Complimentary breakfast and lunch will be provided, and following the sessions there will be time for individual questions and concerns to be addressed. Attendees will also receive a Certificate of Completion for their specified training session. Brand-New For 2015:Attendees will also receive a signature Wexler Service Training Survival Kit, filled with everything training attendees could possibly need during the sessions (and more)! 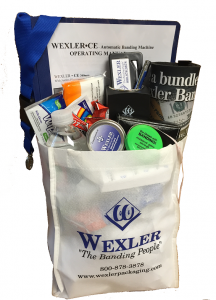 These one-of-a-kind custom gift bags are Wexler’s way of making sure our attendees are prepared as well as our way of saying “thanks” for joining us and making a commitment to improving your equipment knowledge. And the best part? Wexler 2015 Service Training is entirely FREE. There’s no telling when a technical issue will arise. However attending these sessions has historically proven to create better lines of communication between customers and our Service Department and has ultimately lead to reduced expenses related to service and repairs. The start of a new year is a time for resolutions and improvements. Resolve to make 2015 YOUR year to this wonderful training program to improve your product knowledge and ultimately protect your investment! For more information please contact service@wexlerpackaging.com.